Take a deep breath in and out, another breath in and out, one more time… in and out. Doesn’t this feel amazing? Can you remember a time when you were stressed out but everything ended up falling into place? I thought so. Why not think about positive situations more often instead of imagining worst case scenarios? 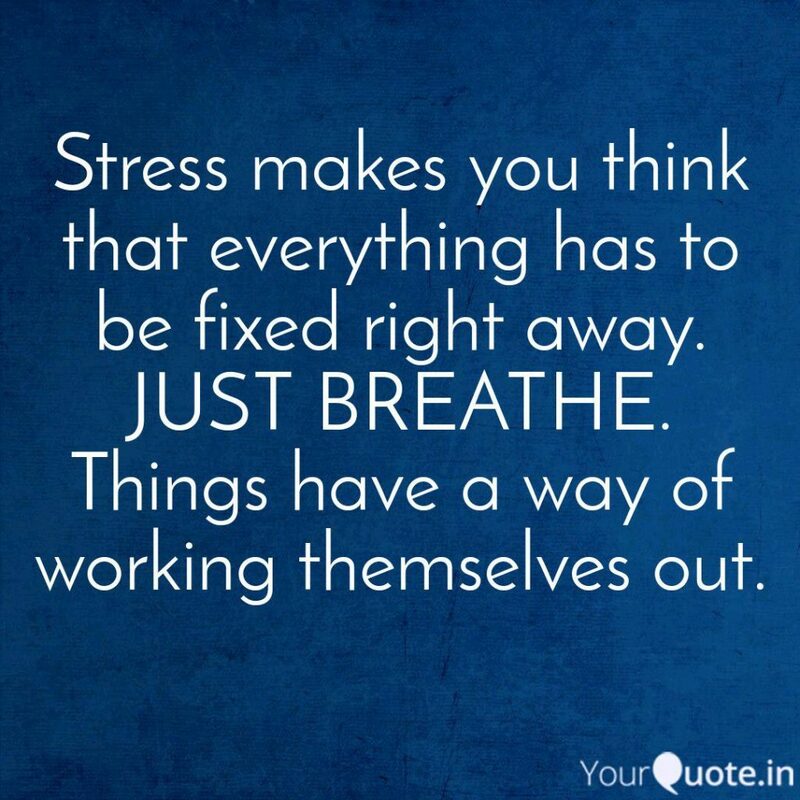 If you think something has to be fixed right now, it may have to be a band-aid solution and you will have to make time for the same situation over and over again. This never happened before, right? Wouldn’t it be so much better to be proactive (think first – act later) instead of being reactive (emotional “do it now”)? Are you ready for another one of what I think biggest misconceptions in the manufacturing industry? Some managers seem to think if people don’t look and act super stressed (= run around like a chicken with its head cut off), that they don’t care. Nothing can be further from the truth. Most people care and want to go home at the end of their day feeling good about the work they have accomplished. It’s just very difficult when you get criticized and pressured over and over again to give your best on a daily basis. People are mentally tired and worn out. I see this every day. If you feel that some people don’t have a so-called “sense of urgency”, then it is most likely because they don’t feel ownership and responsibility for their job. A sense of urgency comes when people are emotionally connected to what they do, respect their boss, and feel responsible for the results. If people don’t have a “sense of urgency”, what else could be the problem? 1. If everything is urgent, nothing is urgent. What do you think the “do it now” syndrome from 10 different directions will do for the thought process and the emotional state of people? 2. Learn to differentiate between urgent and important. There may be things that are important but not urgent. Then there are things that are urgent but not really important. Communicate with a clear deadline instead of saying “do it now” if it isn’t a emergency. If there too many emergencies, you may want to get to the bottom of things. Just saying. “Make it happen” even if we cannot provide you with the resources. How motivating is this sentence? This is one of the biggest stressors in many companies. Change this comment to “How can we make it happen?” and truly listen what people have to say. Nobody comes to work to be yelled at and/or belittled. Results through bullies are only short-term and cannot be sustained. In reality bullies slow everything down and are damaging for the corporate culture. Listen to the voices of the people around you. You may learn a thing or two. Learn to control your mind and do not allow others to mess with it. You are in control of your mind, and with that you’re in control of your results. I wish you a peaceful and relaxing weekend!